For more than 30 years Blais Construction has been designing and building homes of uncompromising quality. Whether it’s building a new home or renovating an existing house, the company philosophy for doing things right the first time has earned it a reputation for commitment to quality and customer satisfaction. Since Bob Blais was a child, he has been taught the value of quality and an industrious work ethic. As a young boy, Bob loved to work alongside his father Charles, who successfully operated his own construction business for many years. The result is the ability to offer clients superior quality at an affordable price. 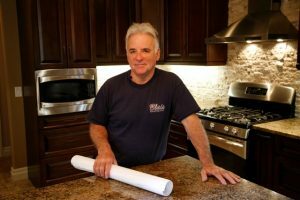 It was while working alongside his dad, that Bob learned that referrals only came from customers who were completely satisfied with the job performed. Today, over 90 percent of Blais Construction’s business comes from repeat customers, a statistic that speaks highly of the company’s performance and its client relationships. In the early days while working closely with his father, Bob’s passion for the business grew, as did his commitment. Many years later he enrolled in the St. Clair College Building Trades Program and launched his own construction business which now employs his son Robert, as well as a team of committed and experienced staff members. For the Blais family, building has always been a strong passion inspired by the enjoyment of providing clients with a job well done, one that meets both their building and budget expectations.